Today's post is on Pneumocystis carinii pneumonia (PCP)! HIV-infected adults should receive chemoprophylaxis against PCP if they have CD4 counts < 200 cells/mm3. Trimethoprim-sulfamethoxazole (TMP-SMX) is the recommended prophylactic agent. Primary Pneumocystis prophylaxis should be discontinued for adult and adolescent patients who have responded to ART with an increase in CD4 counts from < 200 cells/mm3 to ≥ 200 cells/mm3 for > 3 months. 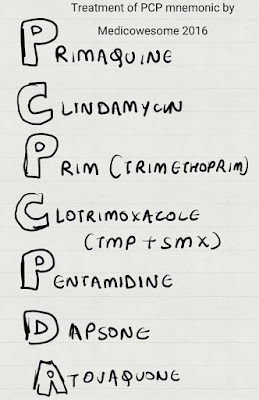 TMP-SMX is the treatment of choice for PCP. TMP-SMX: Rash, Stevens-Johnson syndrome, fever, leukopenia, thrombocytopenia, azotemia, hepatitis and hyperkalemia. Pentamidine: Azotemia, pancreatitis, hypo- or hyperglycemia, leukopenia, electrolyte abnormalities, and cardiac dysrhythmia. 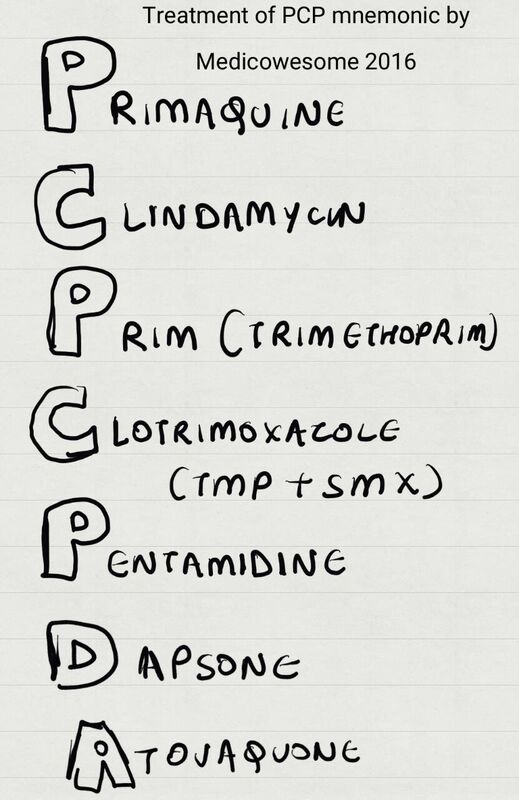 Primaquine and clindamycin: Anemia, rash, fever, and diarrhea. Atovaquone: Headache, nausea, diarrhea, rash, and transaminase elevations.